We offer a portfolio of over 500 courses. Explore below or use the search box above. Recruitment assessment for business skills, online testing new and existing staff. We offer London's largest schedule of genuine dates (465 as of 5:46am Fri). Book with confidence up to 12 months ahead. Our MS Desktop & Management Skills courses are never cancelled. When it comes to training, one size does not fit all. We have the ability to be flexible through our experience and commitment to quality. Whether it's training one person in your office, or assistance with migrating to a new system, we can help you. "The friendliest service... Plus high quality training...could this be the best value training company in London!?" Best Training was established in 1992. Microsoft Certified Partners possess a high degree of competence and expertise with Microsoft technologies, and may demonstrate their proficiency in one or more Microsoft Competencies. Microsoft Certified Partners are independent companies that can provide you with the highest levels of technical expertise, strategic thinking, and hands-on skills. Microsoft Certified Partners encompass a broad range of expertise and vendor affiliations and their real world perspective can help you prioritise and effectively deliver your technology solutions. We have partnered with ILM, Europe's foremost provider of leadership and management qualifications. 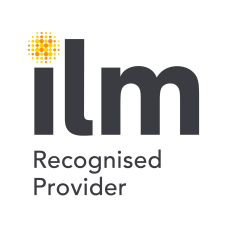 ILM provide high standards of accreditation that ensure its approved courses are relevant to the workplace and provide real benefits in learning and skills improvements. This is especially useful in today's business environment, where the availability of many alternative solutions requires a benchmark against which they can be easily assessed. See details of the courses we offer by visiting ILM Endorsed Training Courses. We are an authorised testing centre for the Microsoft Office Specialist (MOS) examinations. For more information, see MOS Courses London. LPI Accreditation epitomises trust, integrity and quality. Organisations that carry the logo have proven themselves to be leaders in the field of Learning & Development. Accredited organisations carrying the logo have passed a rigorous independent accreditation process which examines every aspect of an organisation's involvement in learning and related services. The Institute of IT Training (IITT) was a professional body which existed to continuously raise standards of professionalism within the training sector. Through a range of membership, certification, accreditation and bespoke consultancy services, the Institute focused on enhancing and recognising the skills and professional status of individuals and organisations engaged in training activities. NB. The Institute of IT Training is now the Learning Performance Institute (see above). All our trainers are Microsoft Qualified. Certification is the key and final stage in the I.T. Learning process. Prodigy works directly with Certiport Inc. as a Certiport Solutions Provider. Certiport is the world’s leader in standard's based certification solutions that enable personal and professional advancement through globally portable qualifications. The UK Register of Learning Providers is a 'one-stop' portal to be used by government departments, agencies, learners, and employers to share key information about learning providers. The UKRLP allows providers to update their information in only one place and share this across agencies such as, the Learning and Skills Council, the National Learning Directory, the Higher Education Statistics Agency (HESA), the Higher Education Funding Council for England (HEFCE) and UCAS. We use PayPoint, SECPay and ePDQ for secure, online payments. This allows us to cut down on administration costs and pass on the savings to our customers. © 2019 STL. All Rights Reserved.